No epithet is able to describe fully the splendor of this ancient city, which no other city can match, even in Europe. Founded on an island, which was created by the Smotrych River bend, Kamianets-Podilskyi has a history, which has formed its diverse appearance. An incredible quantity of amazing 11th – 19th centuries' monuments and landmarks are concentrated on the territory of the Old City. They are a big reason why this city is on the list of UNESCO World Heritage Sites. The city grew so rapidly, that it soon turned into a large trade and craft center and began to compete with Kyiv and Lviv. 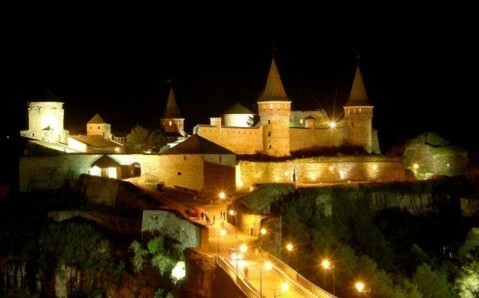 But Kamianets-Podilskyi experienced real prosperity in the 15th century, when it passed to Poland. At that time, three ethnic communities lived here - Poles, Armenians and Ukrainians - each of which decorated its neighborhoods with distinct architecture. 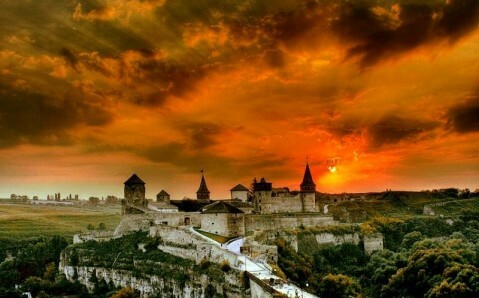 During the Polish period, Kamianets-Podilskyi became known for its impenetrability. According to legend, a Turkish sultan, who had tried in vain to enter the city, asked the local citizens: "Who built this fort?" "The God himself did!" - was the answer. "So let God conquer it!” - the sultan conceded. 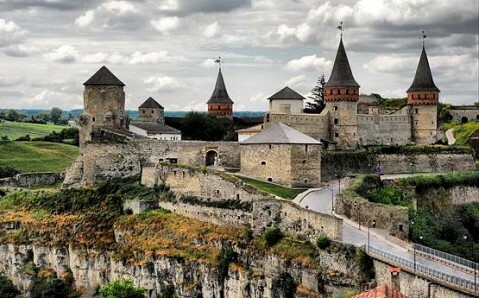 Despite the twists in history, Kamianets-Podilskyi has managed to preserve its priceless buildings almost unchanged. 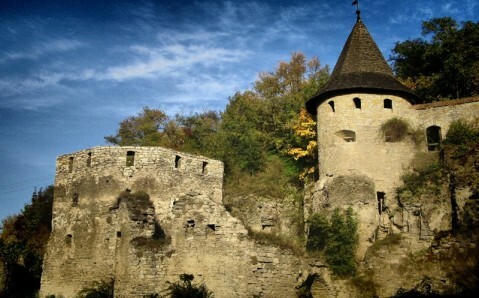 The main sight is still the Ancient Fortress, considered to be one of the best samples of fortification buildings in Eastern Europe. Massive walls and bastions continue to inspire with their might and majesty. 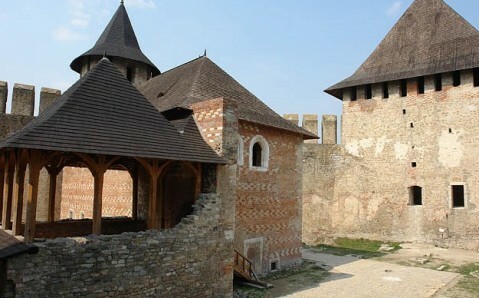 Among the fort towers, the ones that stand out are the Black Tower, which contains a 40-meter well, and the Karmeliukova Tower, which is the tallest tower and was named in the 19th century after its prisoner - Ukrainian national hero Ustym Karmeliuk. The sacral architecture of Kamianets-Podilskyi is no less impressive – it fascinates with its richness and variety of represented cultures. A special place among the treasures of the city belongs to the Armenian Cathedral and to the St. Peter and Paul Catholic Church, an example of the beauty that combination of two different religious architectures can bring. During the Ottomans’ brief stay, the cathedral was turned into mosque. Since that time, it has been supplemented by a Turkish minaret. The complex of the Dominican Monastery also bears the imprints of different epochs and styles. 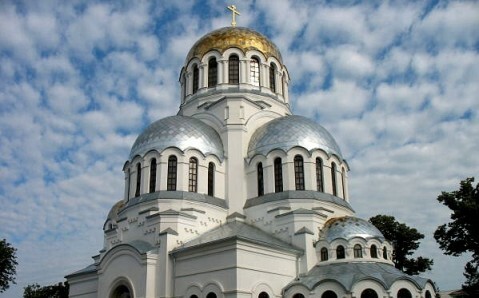 And St. Nicolas' Catholic Church, included in the complex, is considered to be one of the most ancient city temples. Because of so many historic monuments, Kamianets-Podilskyi gives you the opportunity to dive into a truly medieval atmosphere. And in order to get the most out of this wonderful city, you should visit it during a holiday or festival, which take place here almost all year round!